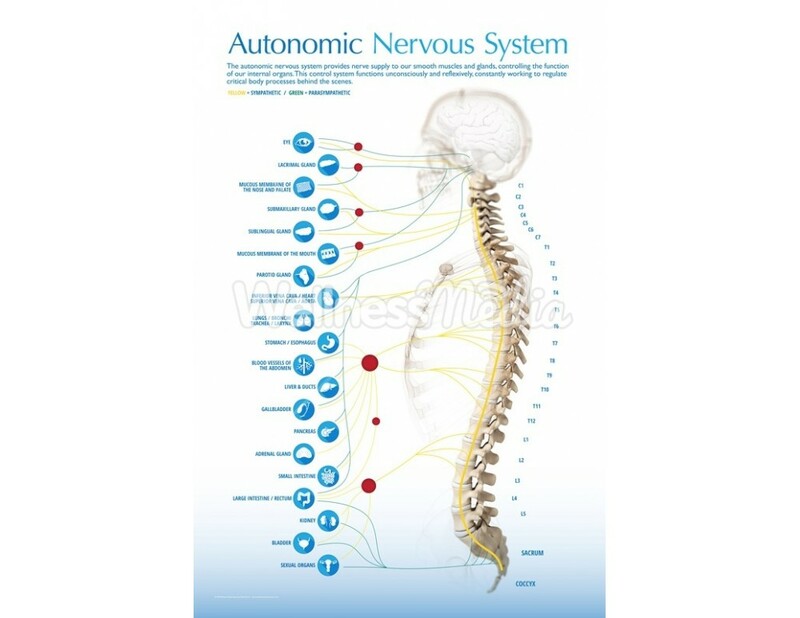 The autonomic nervous system is a classic piece of chiropractic education, helping to illustrate the importance a nervous system free of interference. 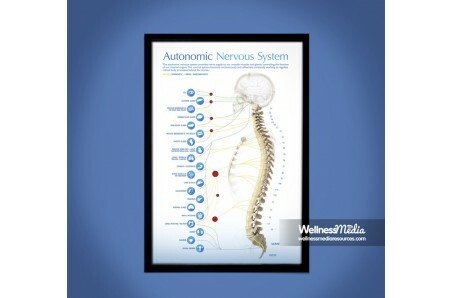 This modern chiropractic ANS poster will be sure to grab the attention of your practice members. 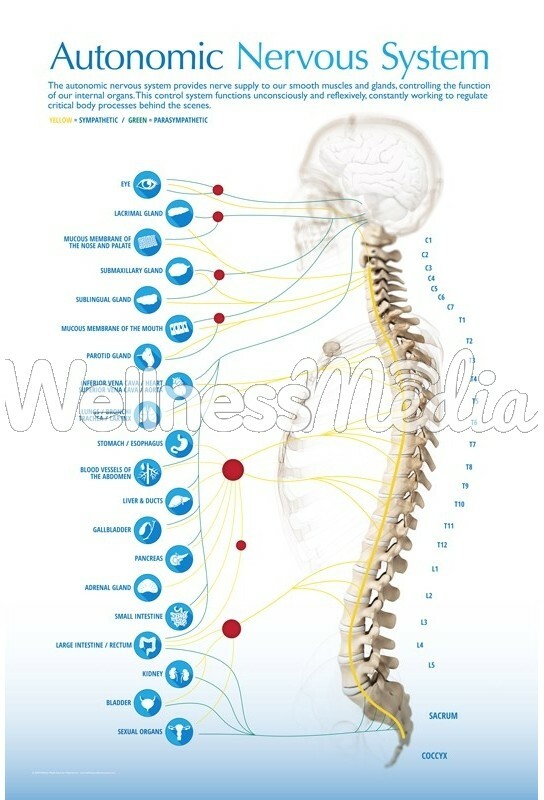 We also have a large format version of this ANS poster, find it here. 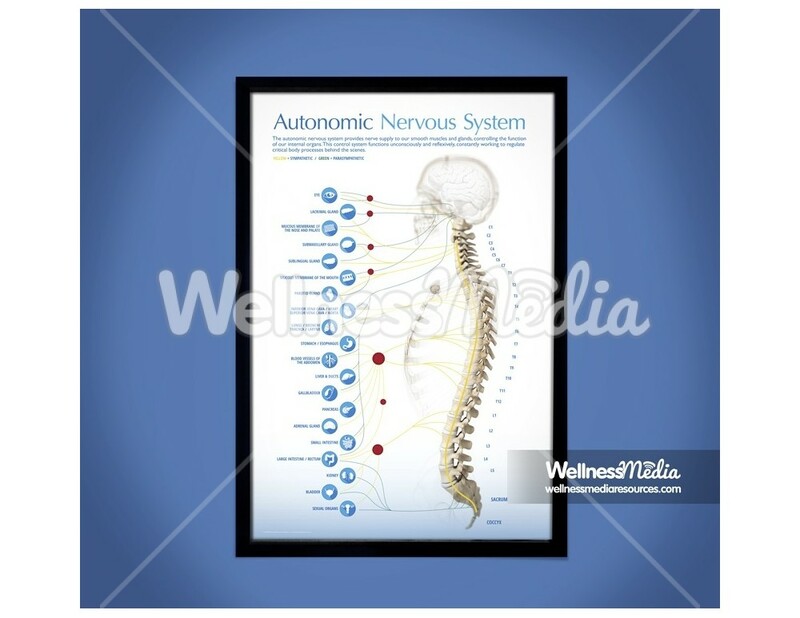 Poster Text: The autonomic nervous system provides nerve supply to our smooth muscles and glands, controlling the function of our internal organs. 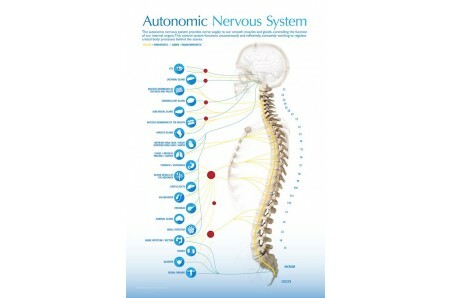 This control system functions unconsciously and reflexively, constantly working to regulate critical body processes behind the scenes.